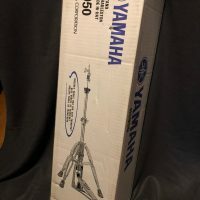 This Yamaha HS 950 Hi-Hat Stand is brand new still in it’s unopened original box. 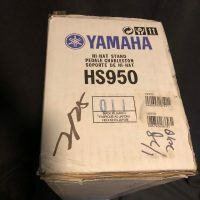 It is part of a large collection of 1980s and 90s Yamaha hardware that belonged to Elvin Jones and was purchased directly from his estate. 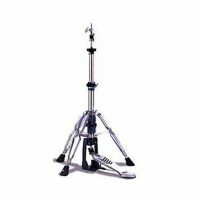 Direct-linked, 3 double braced rotating legs, tension adjustable, locking clutch, heavy weight, includes carrying bag. Photo of set up stand is a stock photo. The stand I’m selling is still in the unopened box in the photos.